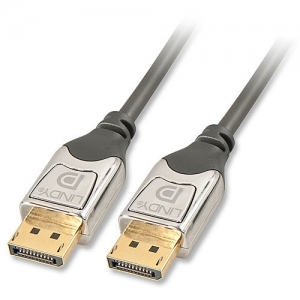 This superb DisplayPort cable benefits from advanced design and construction to provide the best possible performance and reliability. It's 24K gold plated connector pins ensure superb signal integrity and corrosion resistance whilst the shielded cable design allows consistent performance, even over longer transmission distances. Available in lengths up to 5m, it's the perfect choice for the next generation of high definition video cards and monitors.